Contains equilateral triangles, squares, hexagons, octagons and dodecagons. 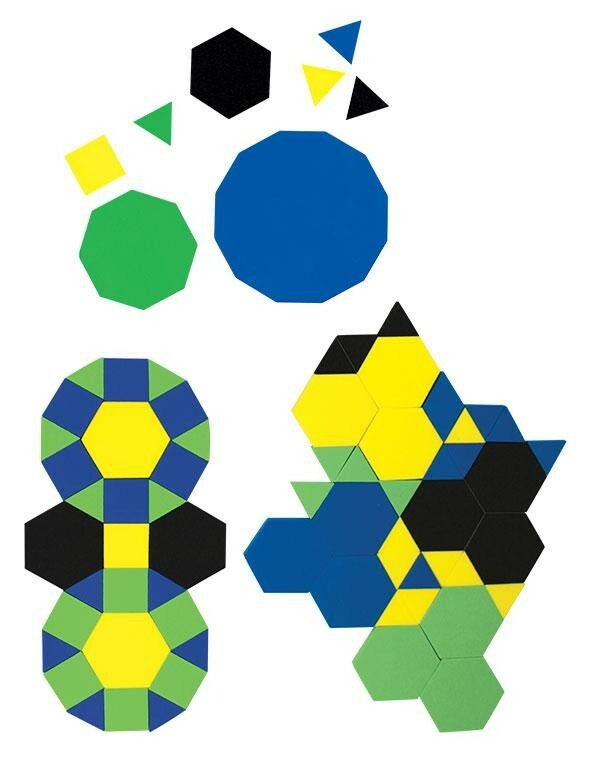 These regular polygons are excellent for teaching tessellation and geometry concepts. The pieces have 1" edges for compatibility with Pattern Blocks. Ages 5 to adult. 340 nonmagnetic pieces.